Free Course On Blogging With Students! Enrol Now! 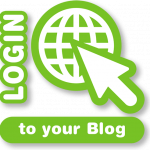 Would you like to learn more about blogging with students? The Edublogs team is running a free course on blogging with students. Global2 is the Department of Education and Training blogging platform which is hosted on CampusPress by the Edublogs team. All step by step instructions in the series are with Edublogs and CampusPress users in mind. Whether you are new to blogging, or want a refresher on all of the features that blogging can offer, come join the four week crash-course and the Edublogs team will guide you through the process of blogging with students. 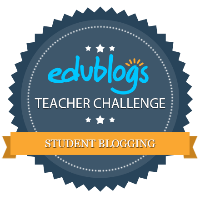 The Edublogs Teacher Challenge is completely free of charge. Each Teacher Challenge session lasts for 30 days, with 2-3 tasks per week that will be sent to you via email. The first challenge is sent when you signup. When you finish the Teacher Challenge, you receive a badge to proudly display on your blog and a certificate of completion which you can use towards your professional development hours. Enrol by filling out this Google form. Enrolment is kept open, so you can start whenever is convenient for you. The series is excellent way of preparing for the Student Blogging Challenge which starts in March!